In a weekend which was overshadowed by the Munster senior hurling Final, pride of place in Mullinahone must go to local young lady, Nicola O’Dwyer of Ballyvadlea. In Tuam, Co. Galway on Saturday Nicola was co-captain of the Tipperary Ladies U14 football team which defeated Donegal in the All-Ireland final replay. No alone was Nicola a captain of the team, but she also won the “Player of the Game” award for her display in goal in the second half when Donegal started to rally. 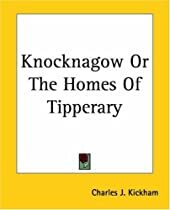 In the end, Tipp won by six points. A week previously, Tipp scored two goals in added time to salvage a draw in the final. What a difference a week makes. For the historians, back in 1996 (19 years ago) Nicola’s mother, Colette Brett also won an All-Ireland Ladies club football medal with Shelmaliers of Wexford. Well done Nicola We’ll say a chip off the old block. The community are organising a presentation at the end of the month to our postman, Joe Pollard who retires on July 18th. Joe has been our long serving postman for the last two decades through hail, rain and snow or shine and he deserves our appreciation for his service to the community. If you would like to be associated with the presentation, you can do so in any of the local shops or by contacting any member of our community council. Congratulations to Poulacapple NS who were to the fore at Clonmel Show recently winning quite a number of prizes. In fact, the school was presented with the overall prize for their various entries. Principal Mary Meagher was the recipient of €500 on behalf of the school. Individual winners were Tia O’Sullivan, 1st in Art, Roisin Foley, 2nd in Photography and Padhraic Foley, 2nd in Poetry. Padhraic was also in action representing Poulacapple NS and Tipperary Schools in the Primary Go games played during the Munster Final in Semple Stadium on Sunday. Well done Poulacapple NS. The computer switch over and change of hours in Mullinahone Credit Union went rather smoothly on Thursday last and also on Saturday morning. Our Credit Union is now part of the much bigger Clonmel- Fethard- Mullinahone Credit Union with more and better services for members. Apologies to those people who turned up outside of hours on Thursday and Friday last. The new days and hours are Thursdays 3.30pm to 7pm and Saturday morning 10am to 1pm. The last local lotto jackpot draw took place on Monday 6th July. The winning numbers drawn were 7,18,2l and 30. There was no jackpot winner, but congrats to Trisha O’Brien who won the Match 3 prize of €150. Next draw is on Monday next 20th July when the jackpot could be worth €12,700. Not the best of weeks for our teams. Our Intermediate footballers went down to Grangemockler in Ballingarry on Friday night though they are still likely to qualify for the South Tipp semi-final. Our hurlers had a useful outing in the Thurles hurling festival getting in much needed practice for the upcoming South Tipp semi-final v Killenaule. Well done to Sharon Scott and Just Men Barbers on the support signs around the village wishing Tipp luck in the Munster Final. The signs seemed to have worked. A Tennis Summer camp will take place from Monday 20th July to Friday July 24th from 10am to 12 noon. Ages 5 to 15 years. Fee €35. Rackets and balls supplied. For further info contact Amy at 087-7728047. Our hairdresser, Rose Grant will re-open on this Thursday 16th July after her recent break. Saturday last at opposite ends of the country was a good day for a number of our lady footballers. At Glanworth, Co. Cork, three of our minor footballers were members of the Tipperary panel which defeated Waterford 6-09 to 1-08 in the Munster Minor B Football final. Congrats to our 3 representatives, Aoibhe O’Shea, Aine Dunne and Nicole Shelly. Meanwhile, in Ballymahon, Co. Longford Nicola O’Dwyer was goalkeeper on the Tipp U14 team that scored two goals in injury time to enable Tipp draw with Donegal in the All-Ireland U14B Football final. The replay is set to take place next weekend. Well done girls and good luck, especially to Nicola in the All-Ireland replay. Finish the job this time Tipp. The boys and girls in Mullinahone N.S. are now on holidays, but the end of term was an exciting one for them. Perhaps, the highlight in the last fortnight was the winning of a County schools U11 hurling title when St. Michaels defeated Ballycahill N.S. in the final in Semple Stadium. For others, the highlight may have been the winning of a fifth green flag by the school this time for bio-diversity. Well done to the girls and boys and, of course, well done also to their teachers. For the last number of years, Tipperary County Library has provided a mobile library service for boys and girls during the summer holidays. The library comes to the village in the form of a van/bus each Tuesday afternoon for six weeks and children are invited to come along and borrow books. The bus is in the Church carpark from 2.30pm to 4.30pm. Every year up to now the Book Bus has been most popular. The service is free, so bring the girls and boys along to avail of this fine service. The C.J. Kickhams adult teams have had a fairly good week recently. On Wednesday evening our Intermediate footballers beat Carrick Swan by 1-10 to 1-07 to record their 3rd win in the championship. This win means that a draw with our final opponents Grangemockler will be enough to see us into the semi-final as group winners or runners up. In Junior hurling B, after a first day loss to Moyle Rovers, we improved on Friday night to defeat St. Marys 0-14 to 1-08 and so revive our championship hopes. However, at U14A level, our lads have been finding the going hard and another defeat the weekend didn’t help. Some major changes in the opening hours of Mullinahone Credit Union are due to come into force this week. The local Credit Union will now be opening for business on Thursdays from 3.30pm to 7pm and also on Saturday mornings from 10am to 1pm. The local office will not be open on Fridays. For the best part of two generations Hickey’s shop across from the Church has been one of the landmarks of our village. Alas, the shop has recently closed to the disappointment of many. The following message comes from Eddie and Frances. “It is with great sadness and regret that Eddie and Frances have to announce the closure of their business in Kickham Street. Rose’s Hair Studio will be closed from Tuesday 7th July and will resume as normal on Thursday 16th July. My apologies for the short notice and I regret very much any inconvenience caused. Training will be given in the use of the above on Friday 10th July in Mullinahone Community Centre at 7pm. Training is free of charge. Please contact Breda on 087-7422614 to book a training place. Trocaire’s door to door fundraisers will be in the local area for a few days in July/August. The fundraisers will be clearly identifiable wearing a blue branded Trocaire jacket and carrying photo ID. The last local lotto jackpot draw took place on Monday 29th June 2015. he numbers drawn were 5,18, 20 and 27. There were no jackpot winners, but we had five Match 3 winners who shared the Match 3 prize of €150. Congrats to Doireann Cody, Daniel O’Connell, Margaret Brennan, Declan Croke and Catriona Treacy. Next week’s jackpot could be worth €12,700.